Tawa Sabzi with a difference! 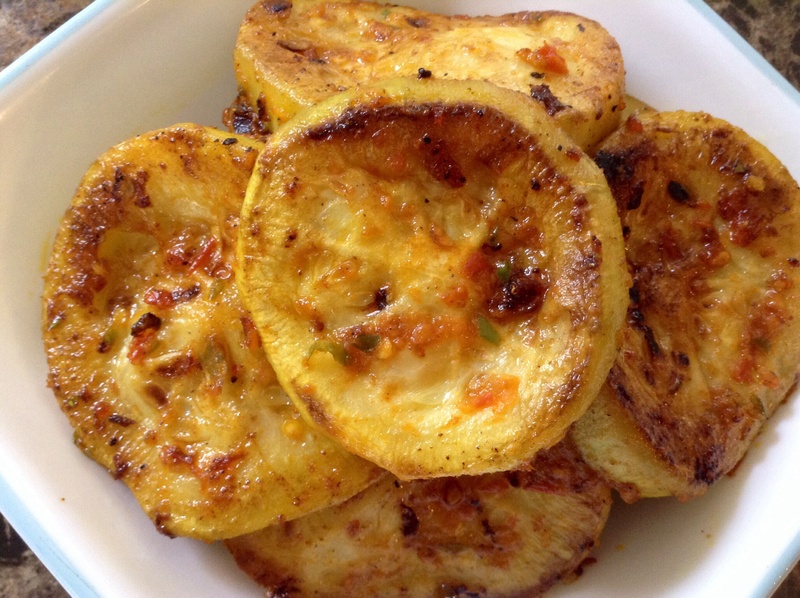 Elevates the simple lauki to a dish worthy for a party platter! 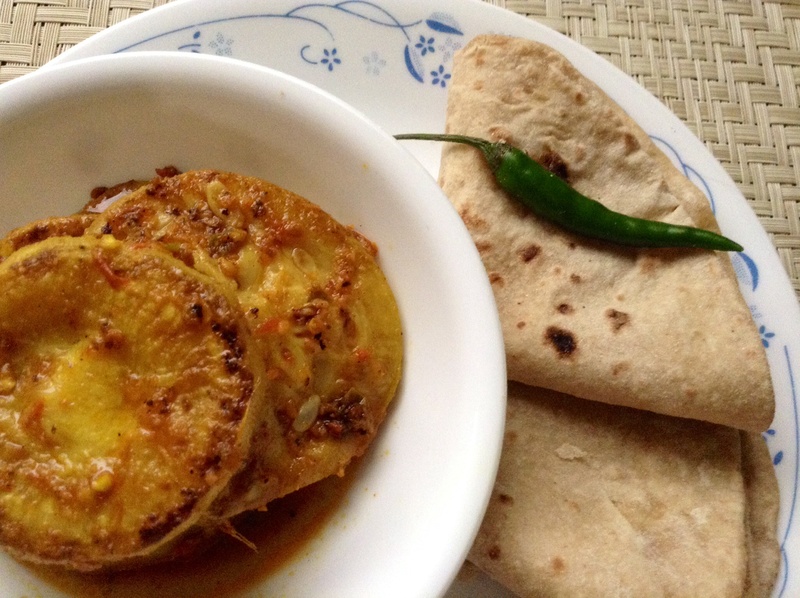 One of my most popular Lauki recipes that have persuaded many Lauki skeptics (including kids!) 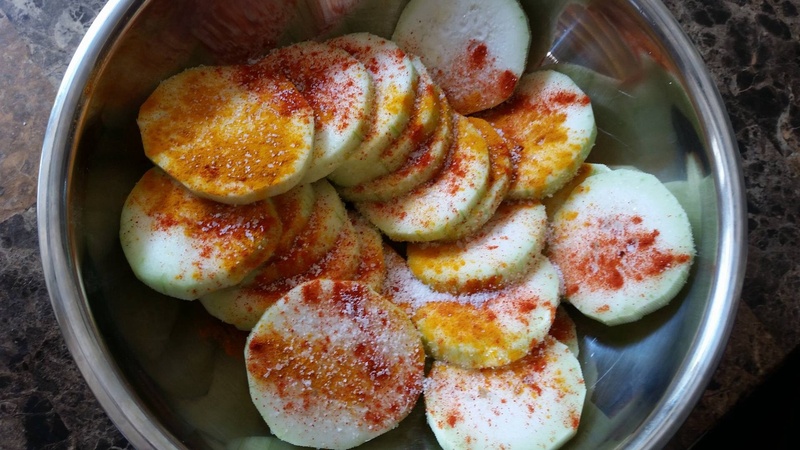 to give this veg a try! 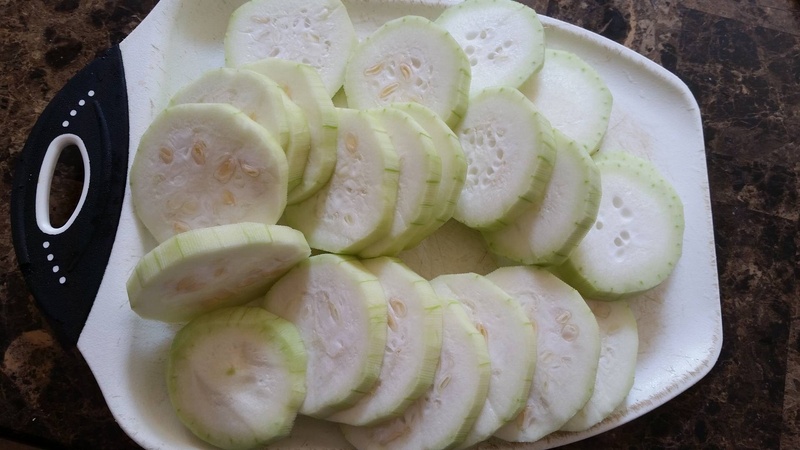 For this recipe you must have young firm good quality lauki which does not have too many seeds inside and the pulp is nice n firm. and cut into thick roundels. 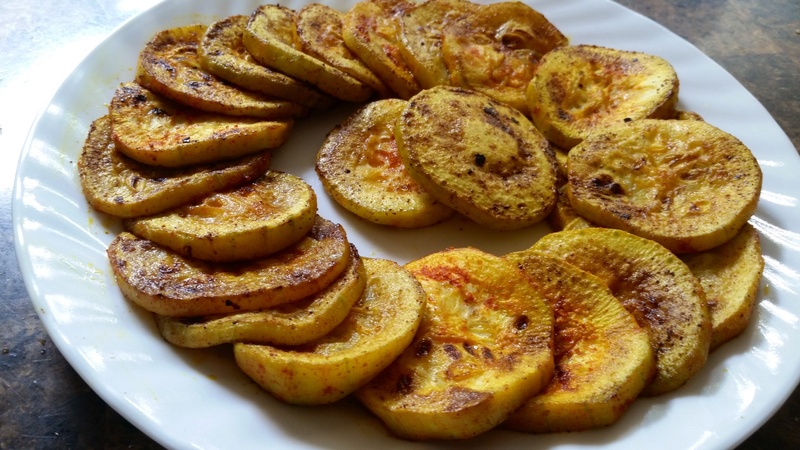 Sprinkle lauki slices lightly with salt, red chili pwdr and haldi. Heat oil, sear the Lauki till slightly golden on both sides. At this stage lauki is only partially cooked. Keep aside in a plate. Next, heat oil, add jeera, minced ginger and green chillies and sauté for a min. Add a little crushed tomato and cook till the tomato reduces. 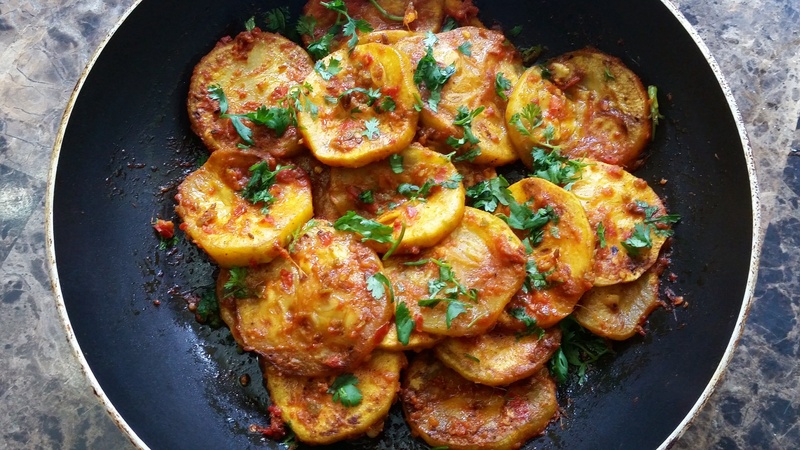 Now toss the seared lauki with the tomato. Adjust salt, add some dhania pwdr, if you like and a pinch of garam masala. 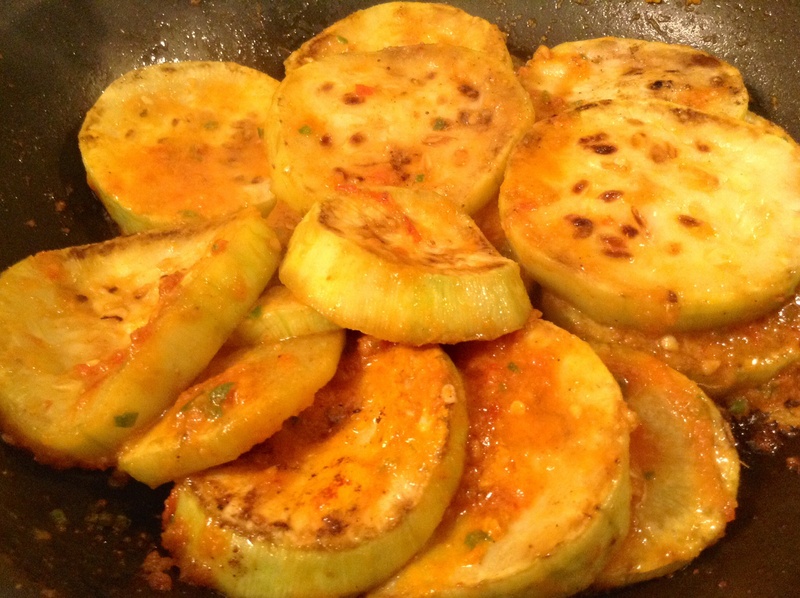 Cook for just a minute or two…till the masala lightly coats the lauki…and then it’s ready to eat! The Lauki should have a slight bite in the corners, with a soft center. 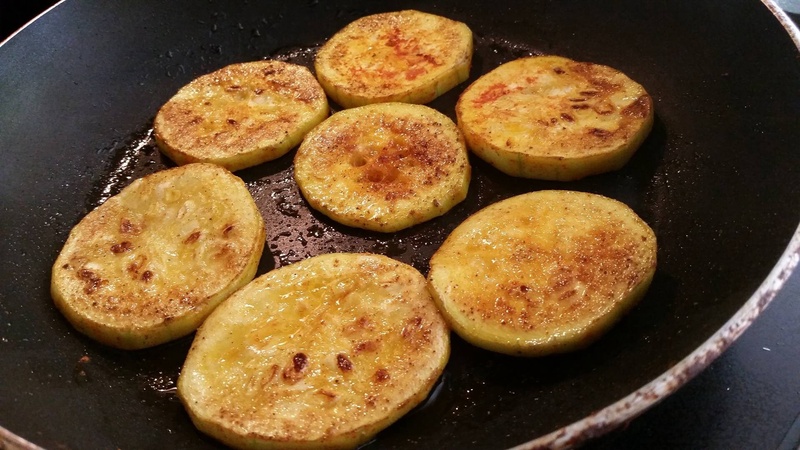 I like it best with plain roti and a crunchy fresh green chilli….Mmmmmm! Wow! This looks interesting! Is it supposed to be crisp? Or soft? A lovely recipe . Simple yet classy. Many Thanks. Just a small word of suggestion even though i have not tried it yet… 1. 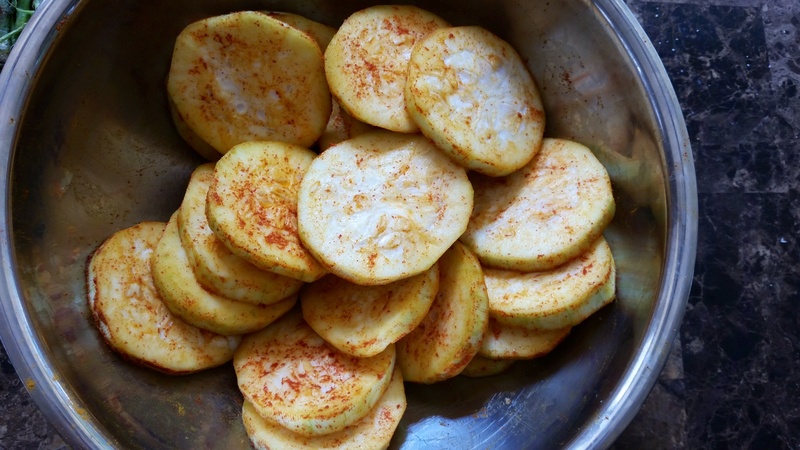 Try serving it with a small sprinkle of chat masala or roasted jeera & fennel powder. Also instead of normal roti’s i feel it will go better with stuffed puri’s or kulcha’s. will surely try it and let you know. Thankyou. 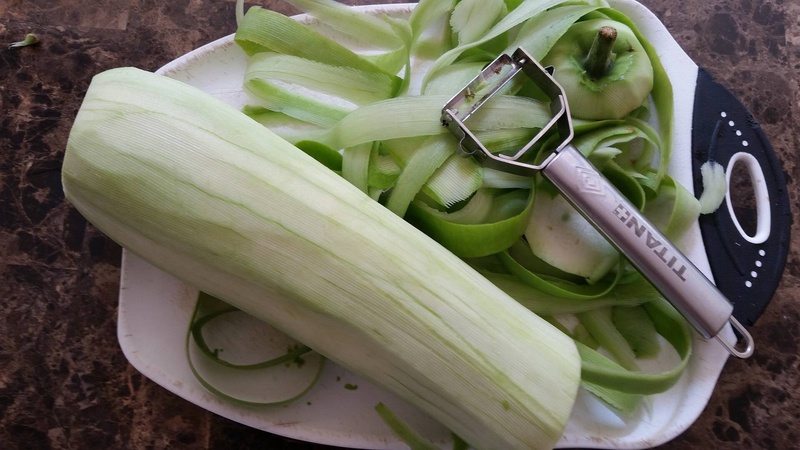 I do this with zucchini.. Yum!! 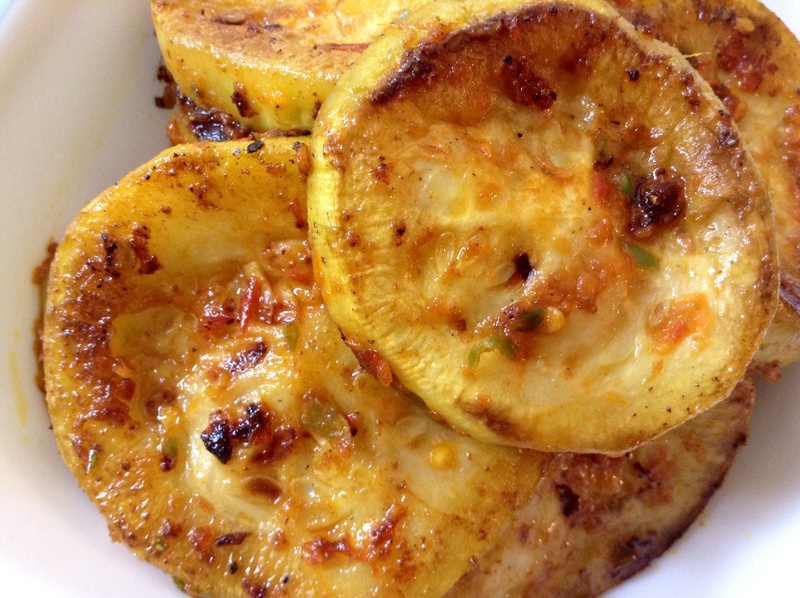 Hey Ruchi … Many thanks for this recipe , saw this on CAL . Lovely u n lovely ur recipes ! !